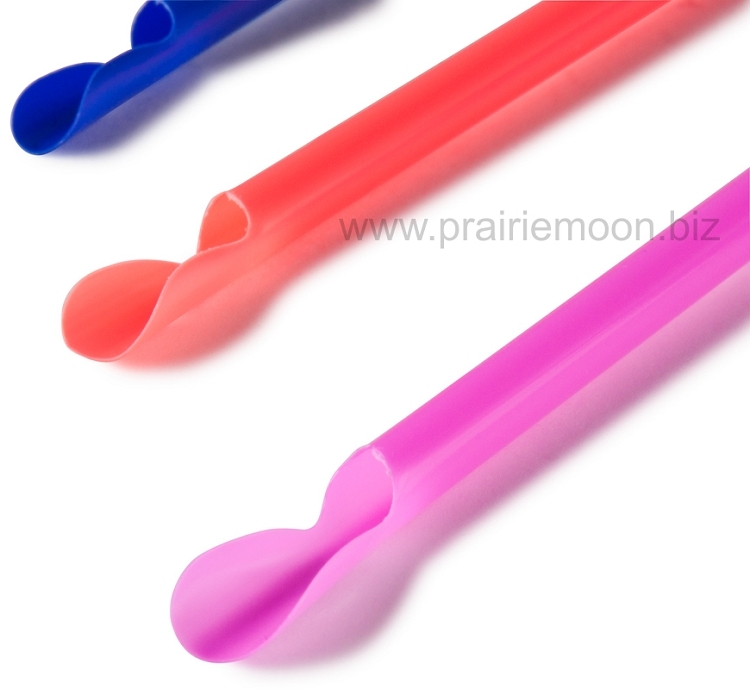 Spoon straws, spoon and straw in one. Essential for eating shaved ice and snow cones. Assorted neon colors. Approximately 8" long. About 6mm wide, almost 1/4". Bulk pack in a box of 400. 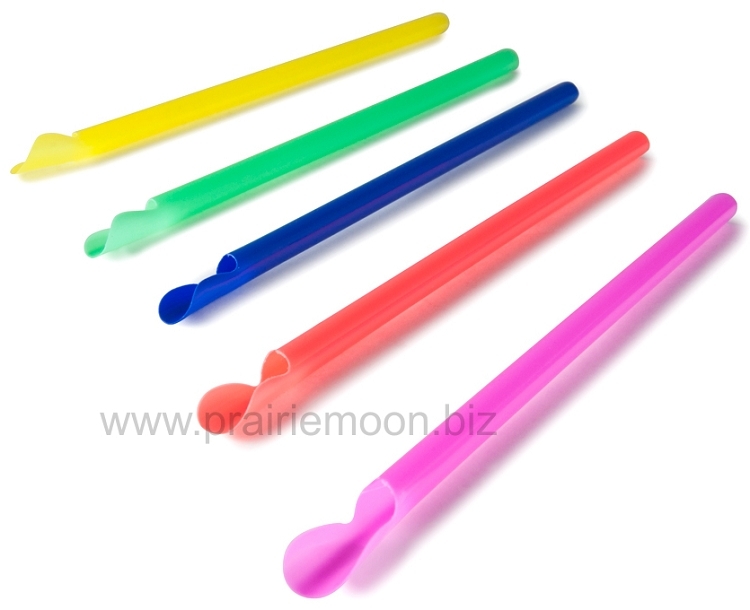 Click here for 25 piece pack of neon spoon straws. Click here for snow cone cups. Order 5 boxes and save 10%. Order 10 boxes and save 20%. The Straws arrived as expected and were just what we needed and wanted. Great Job! Shipped very quickly and I got exactly what I was looking for. Great for Canadian buyers as shipping wasn't too bad.